We have with us a large collection of Hot Fuser for Polyester Plate in several sizes and specification as per the details provided by our clients. Our range is fabricated under the strict quality checks to ensure effective printing results. Our collection is high in demands for its compact design and robustness. They are compatible with various models. With the help of creative team of professionals, we have been able to provide superior range of Plate Punch for polyester plate. Manufactured from quality materials, our range is easy to operate with powder coating. These are fitted with hardened punch pins doe durability. It gives clean coated body. 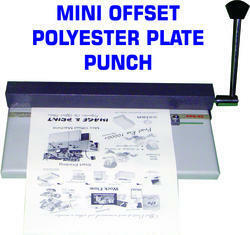 It is recommend that the plate is punched after imaging to avoid possible damage to laser printer and photo copier. 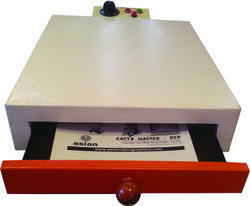 We have become popular among our clients by presenting a premium range of Laser Toner Print Enhancer magic Box. 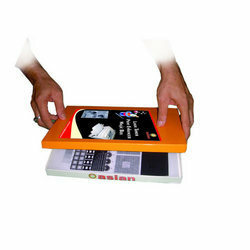 These are carefully designed for enhancing quality of laser print-out by chemical reaction. These are known for their ease of operation, uniform enhancing and no power consumption. It generates no heat that makes prints distorted and dimensionally unstable. Looking for PRESS, PRE-PRESS EQUIPMENTS ?